This book presents in English translation a wide ranging survey of two centuries of Urdu literature spanning roughly the years 1750 to 1950. 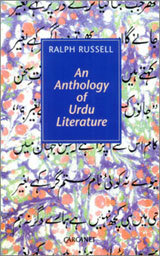 The book begins with stories, sketches and popular anecdotes which require no explanatory background, moving to the literature of the late nineteenth century, in which controversy rages between writers who wish to adopt radically modern ideas and others who are concerned to preserve their traditional cultural heritage. After that, there is a section on poets and the poetic tradition, concluding with a selection of some of the major poets, and finally an extract from one of the greatest novels in Urdu literature, portraying the life of a nineteenth century courtesan.